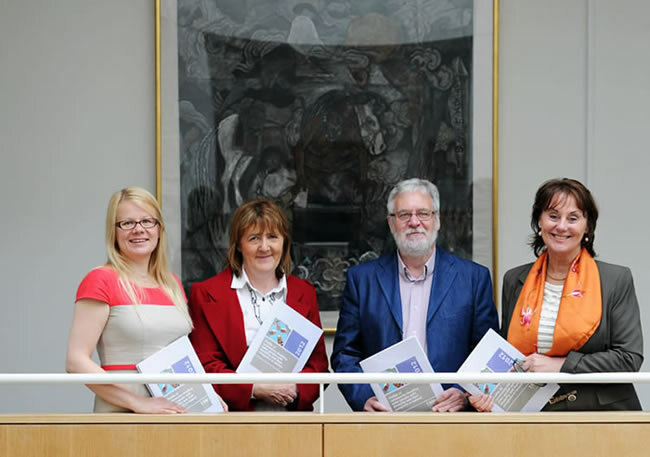 A new report by The Irish Longitudinal Study on Ageing (TILDA) entitled Profile of Community-Dwelling Older People with Disability and their Caregivers in Ireland was launched on June 5th 2012. The report highlighted that unpaid care work by older people underpins the Irish care system. Commenting on the findings, Associate Professor in Social Policy and Ageing, Virpi Timonen stated: “Care policy in Ireland is woefully neglectful of the fact that older people provide the bulk of care to other older people”. Pictured above at the launch of the report (left to right): Prof. Virpi Timonen, Harriet Conlon, Tom Curran and Prof. Rose Anne Kenny.